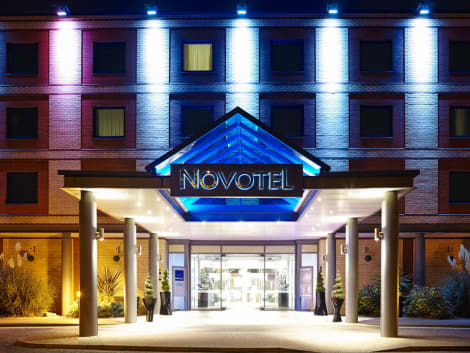 A welcoming Heathrow Airport hotel with meeting rooms and 2 restaurantsHoliday Inn® London - Heathrow M4, Jct. 4 Coming soon - A spectacular refurbishment of our lobby and public areas providing you with a welcoming space to eat, drink, work, relax or socialiseOur shuttle service can whisk you quickly to your flight, and Park, Stay & Go packages let you leave the car safe while you travel. Central London is only 15 miles away, easily accessed via the nearby M4 motorway, or in 25 minutes on the Heathrow Express train, so we’re perfectly placed for day trips to the capital's renowned museums, shops and galleries. The Queen’s home at Windsor Castle and family-friendly LEGOLAND® Windsor Resort are both within easy reach. The M25 motorway is close by, so it’s an easy drive to race meetings at Royal Ascot as well. Our 15 smartly furnished meeting rooms are ideal for conferences, gala dinners or weddings for up to 200 guests.At this hotel you can enjoy:- Free WiFi- A Fitness Centre- Free shuttle to Stockley Business Park (weekdays)- Kids stay and eat freeWith plenty of space for families, our comfortable guest rooms all have quality bedding and a choice of pillows for a good night's sleep ahead of your flight. Settle in for some Sky Sports action at T6 Restaurant & Bar. Upscale Heathrow Airport hotel with a choice of restaurants, plus an on-site golf course and leisure club. 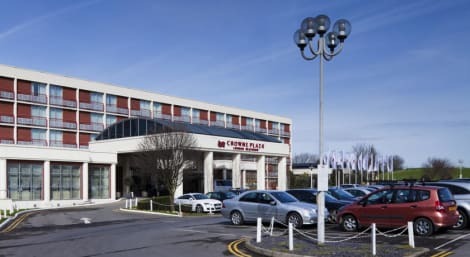 Just off the M4, Crowne Plaza® London - Heathrow hotel is a six-minute taxi ride from Heathrow Airport (LHR) and less than two miles from the M25. It's just over half an hour's drive from central London, or you can hop on the Tube or Heathrow Express train at the airport. The Hotel Hoppa bus links the hotel with all terminals. 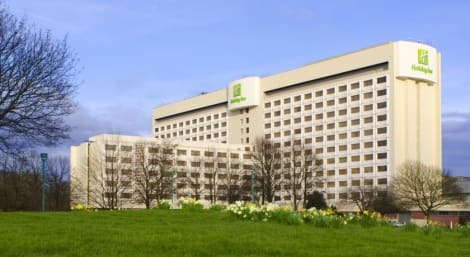 A complimentary shuttle connects the hotel with nearby business parks on request, including Stockley Park and Bedfont Lakes. You can host a meeting for up to 200 people in our 21 air-conditioned conference rooms. Our Crowne Plaza Meetings Director helps ensure your event runs smoothly. The hotel offers ample parking, with Park, Stay & Go packages available. Explore Windsor Castle, less than 20 minutes by car from the hotel. Hampton Court Palace is half an hour's drive away and displays a celebrated collection of royal artworks. Kids love the rides at LEGOLAND® Windsor Resort, just 12 miles away. 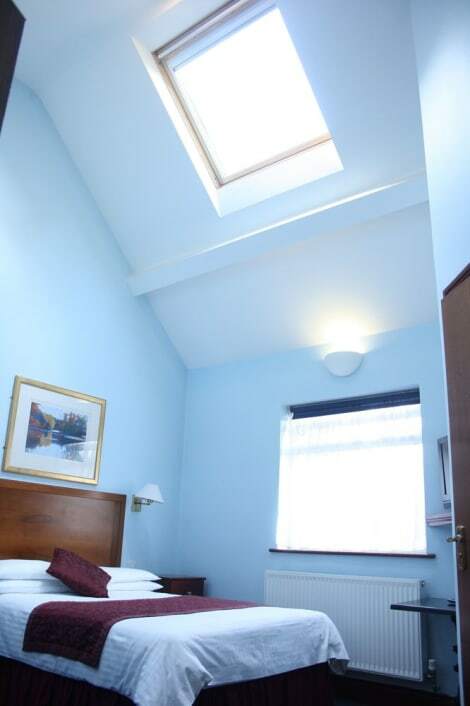 Conveniently close to Heathrow Airport and a short journey from Central London, West Drayton hotels offer comforSEOSITE_LEVEL_DESCRIPTION accommodation in the London Borough of Hillingdon. West Drayton was historically part of Middlesex, until 1965 when it became part of Greater London. West Drayton has since grown as a commuter town and offers excellent access into the centre of London. There are also a number of outdoor attractions within easy driving distance of the town. Langley Park is to the east of West Drayton and features 154 acres of parkland including 10 miles of designated cycling routes. Perfect for family trips, Langley Park also includes an arboretum and Go Ape High Ropes Adventure Course – a tree top adventure that older kids will love. Also within reach of West Drayton is Colne Valley Park and Black Park County Park, one of the largest local country parks with over 535 acres of wood and heathland to explore. This is plenty of space here for outdoor sports such as football and cricket, as well as a sprawling network of paths for cycling or walking. To the east of West Drayton is Stockley Park, another fine outdoors area. South of West Drayton is Heathrow Airport, making the town an excellent destination if you're looking for a place to stay close to this international travel hub. A short journey north will take you into Uxbridge where you'll find Brunel University London, a key local institution. Uxbridge also features a range of shops, restaurants and pubs, as well as Brunel University Sports Park and Cowley Hall Recreation Ground. Head towards the centre of London and travelling along the M4 will take you close to Kew Royal Botanic Gardens. Travel further into the centre of London and within an hour from West Drayton you'll reach the famous West End. Travel away from London on the M4 and you'll soon reach Slough, home to a range of shops, cafés and bars.